AURÉOLE by Furstenberg is a pure white contemporary porcelain that melds East and West sensibilities - a close collaboration of German precision with Korean ceramicist Kap-Sun Hwang. 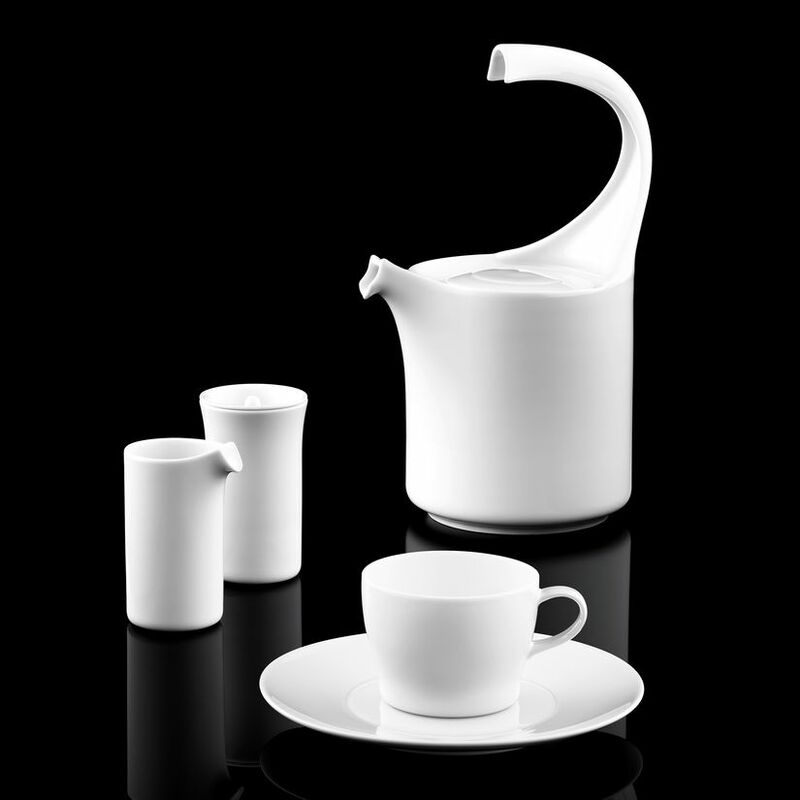 Contradictory experiences drawn from different cultures result in this minimalist and elegant porcelain collection. A 5 piece place setting consists of dinner plate, breakfast/dessert plate, bread plate, coffee cup and saucer (universal). Universal saucer is suitable for coffee cup, tea/cappuccino cup, mug, sugar bowl, creamer, fruit bowl and cereal bowl. * Made in Germany. * Shipment is 2-3 weeks from order date. Aureole Saucer (for Espresso Cup) 4.7"
Aureole Serving Platter Oval 9.5"
Aureole Serving Platter Round 16.9"